It’s about magic and mystery and Goings on. Shaz, 19, has 1,212 . . . 1,213 followers on Vimeo, ‘Shaggytales’. Sister Dunya, 17, drums, shouts but doesn’t leave the house. They’ve never met their older brother from overseas, who comes to keep an eye on them while mum’s away. He has only their best interests at heart. So why do they fear for their lives? Piece of Silk was inspired by the Arabian Nights and draws on the shocking stories of women survivors of domestic violence and enforced marriage. This mixed media piece focuses on the concept that storytelling is a matter of life and death. 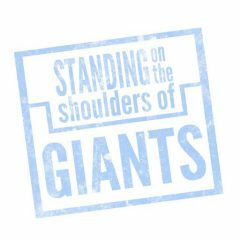 Giants collaborated with Southall Black Sisters (SBS), Iranian and Kurdish Women’s Rights Organisation (IKWRO) and artists from Not Shut Up, a collective for ex-prisoners, to inform the story. Piece of Silk had a sell out run at the hope theatre, Islington in the summer of 2016 where it received critical acclaim from the communities we’d worked with and the press.